The call has now closed. Thank you for entering 84 excellent proposals! 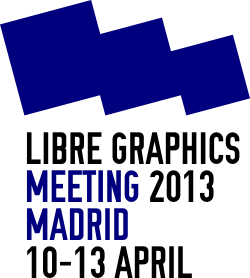 Libre Graphics Meeting 2013: Future Tools will take place from Wednesday 10th to Saturday 13th April in Madrid, Spain. 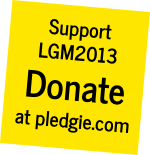 The 8th LGM will be held at Medialab Prado‘s brand new building in the center of Madrid, La Serreria Belga. The Libre Graphics Meeting is an occasion for developers and artists to work together, to share experiences and to hear about new ideas. By Libre Graphics we mean Free, Libre and Open Source tools for design, illustration, photography, typography, art, graphics, page layout, publishing, cartography, animation and video. The Libre Graphics Meeting is not just about software, but extends to standards, file formats and actual use of these in creative work. Please submit your proposal here. In line with the theme for the related Interactivos?13 workshop: Tools for a Read-Write world (http://medialab-prado.es/article/ilgru_call_projects) we are looking specifically for presentations about (re)imagining Libre Graphics workflows to support collaboration and exchange. Deadline: 15 February 2013. We will let you know if your presentation is selected by 25 February latest. In the context of the meeting, we prefer short and concise presentations. For each BOF or meeting that wil be on the public schedule, we ask you to provide a report, to be made available to the Libre Graphics Community afterwards.